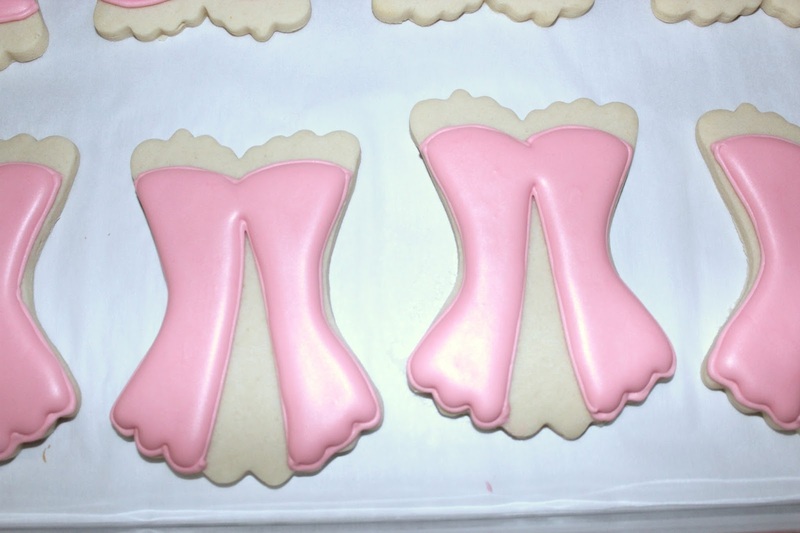 This weekend a friend of mine is having a Lingerie Party and asked me to make some corset cookies. Since Valentine's day is just around the corner I thought I'd walk you through how I made these so you can make some too. 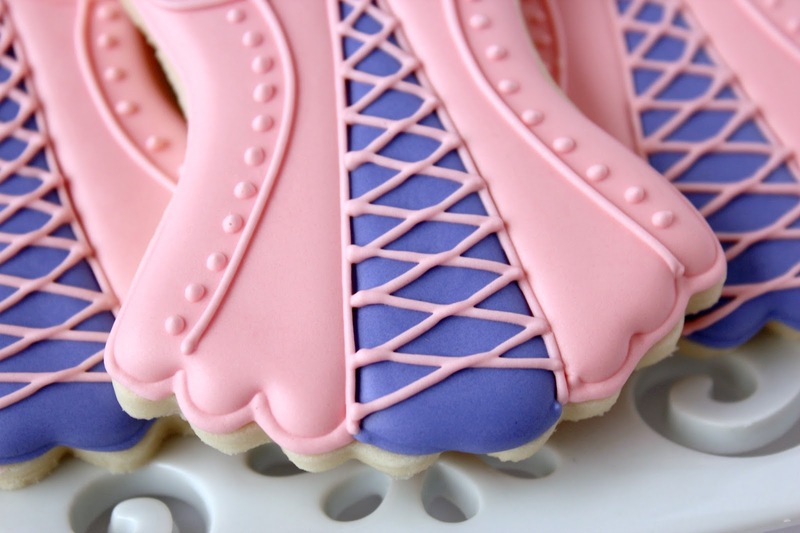 At first these cookies may look hard and intimidate you, but they really aren't difficult to make. You just need to break it down one step at a time. Let me show you how. 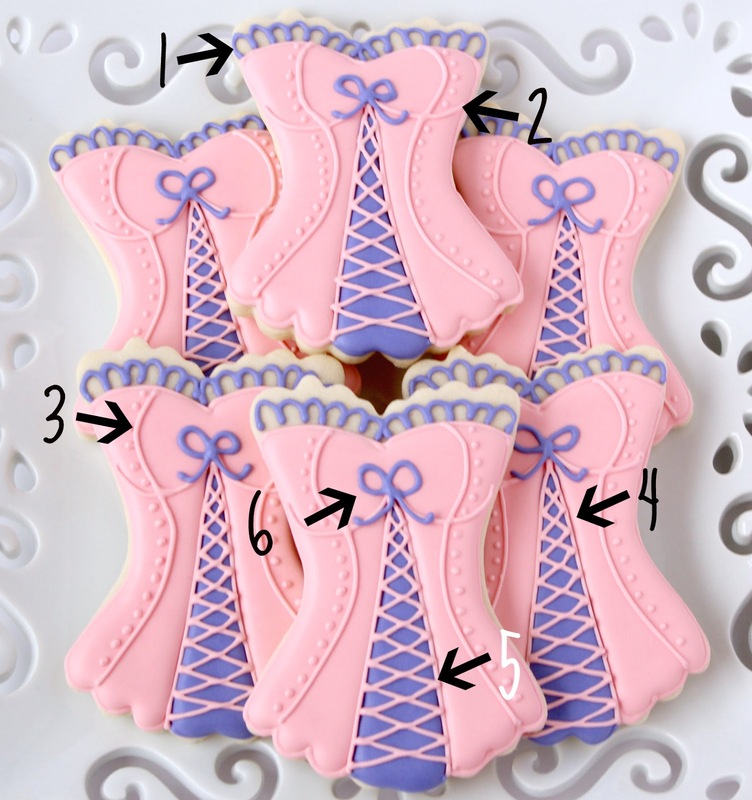 Bake corset shaped cookies and allow to cool. If you need a good cookie recipe you can get mine here. 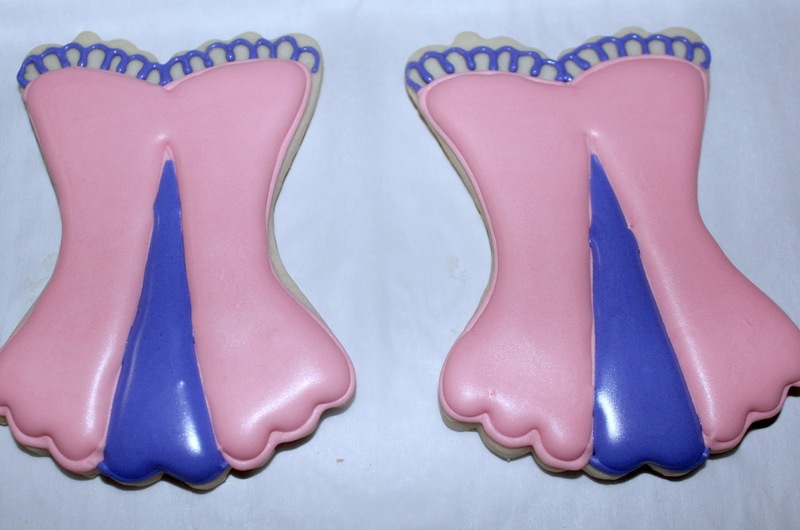 I like to start decorating my cookies the day after I bake them. It helps with cookies getting splotchy from the butter in the cookies. 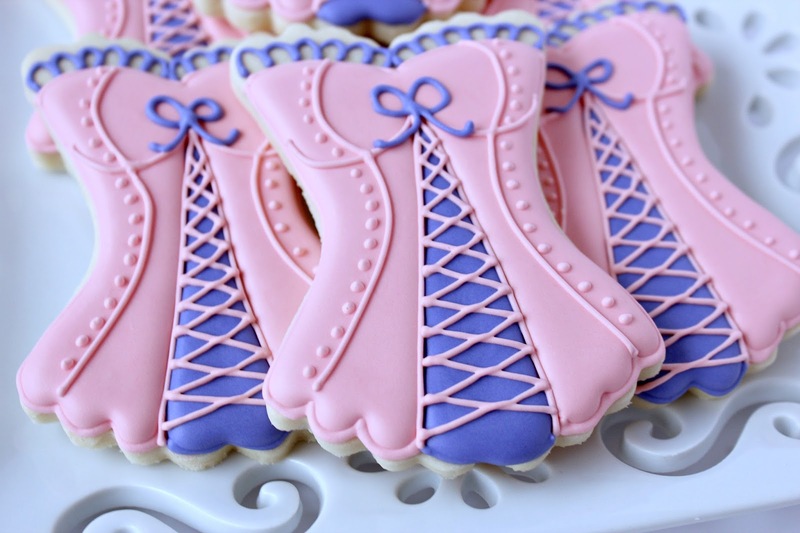 Just place the baked cookies in an air tight container until you're ready to decorate. 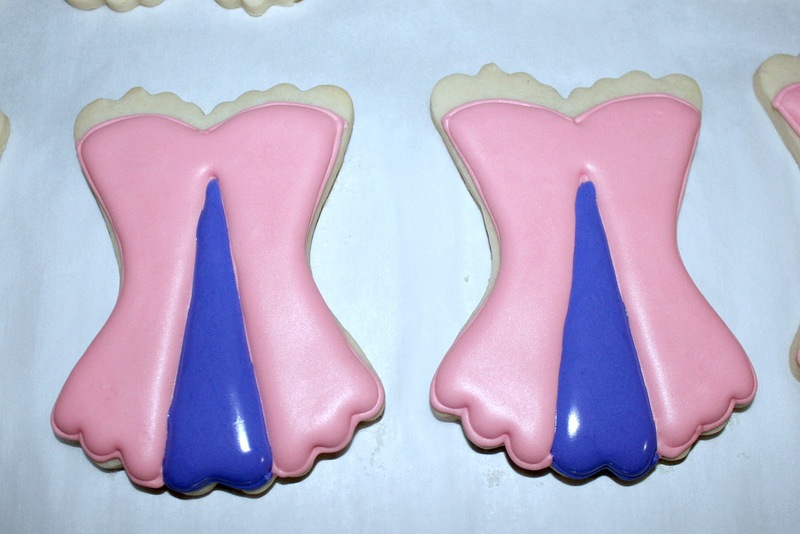 Outline the pink portion of the cookie. I used a #2 tip to outline. Then fill with 15ish second pink icing. Outline bottom portion of purple section using a #2 tip then fill with 15ish second icing. I used a scribe to push the icing to the narrow sections. It doesn't have to be perfect, that will be covered with the outlining later. Using a 1.5 PME tip outline a scalloped edge at top of corset. If you don't have one you can get one here. Trust me, you NEED one of these. See, it's not so hard when you break it down step by step. Just take your time, don't rush and give it a try. You'll never know what you can do unless you try.